So with all of the weddings from 11/11/11 now gracing my Facebook homepage, it’s making me a little nostalgic for my own (9/18/11). I had so much fun planning our wedding, so much so that I actually miss it. To save money, as Joe and I bought our house exactly 1 month before our wedding day, I really embraced DIY. 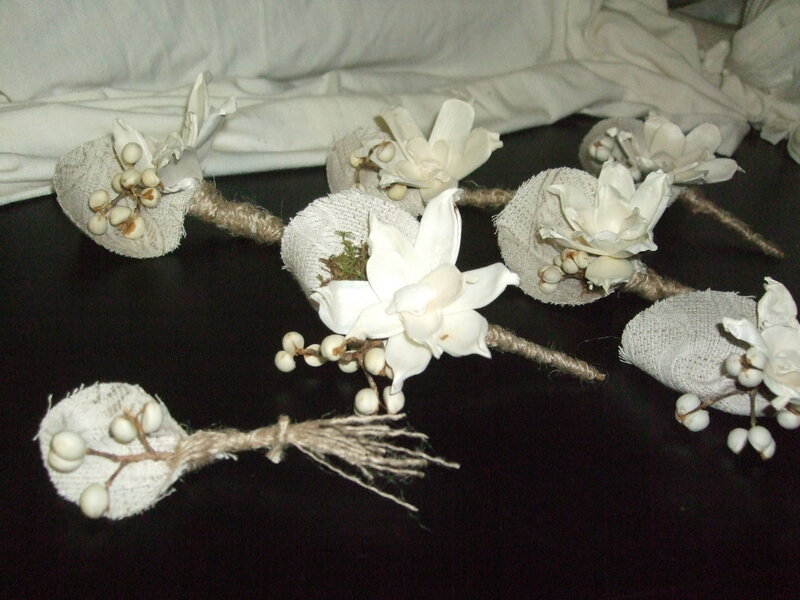 One of my favorite projects was the boutonnieres for the men. 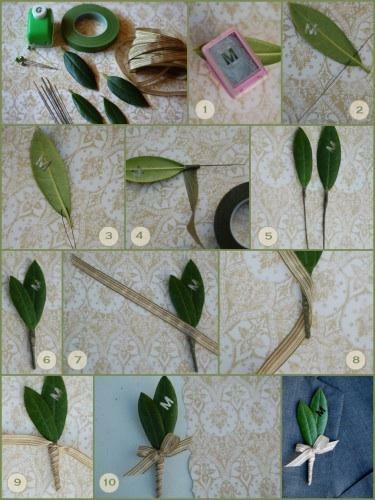 I found some great tutorials on how to make boutonnieres from Intimate Weddings and the thing I loved most about them was that the bouts weren’t the type that you see on every groom. I knew I wanted to use elements that would last forever– dried twigs/flowers, twine, moss, and fabric, and traditional how-tos just weren’t going to help. I was able to make these THREE months before our wedding… While I adore live flowers and they have their perks, I certainly could not have done this with as much convenience had I chosen to use freshly cut blossoms. All it took was a small rubbermaid container to keep the bouts uncrushed and free of dust and they added a touch of DIY to the men’s attire on the big day. My handsome groom and his handsome handmade bout!